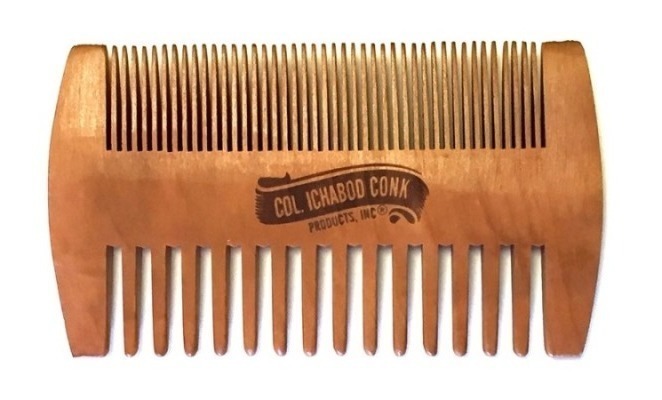 Colonel Conk Products Wooden Beard Comb with natural antistatic characteristics, both fine and coarse sides. You don't hear the phrase “fine tooth comb” much anymore. However now that stylish facial is back, there is a need for an exceptional fine tooth comb. That's just what we've got here at Colonel Conk – a fine tooth comb with fine and coarse sides so you have the ability to groom as required. Made of Peach Wood and an extra smooth surface. 100% Natural Materials. Measures 3 7/8" x 2 1/4".